The Cable Emergency Release System prevents stress to hoses and Loading Arms. The high tensile Cable is linked to the ERC and to the end of the hose string. 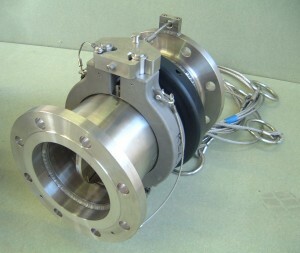 The Cable is shorter than the hose and is set to activate the ERC before tensile load is applied to the transfer system. 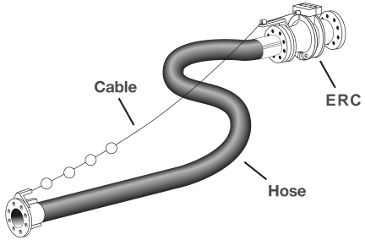 The cable assembly is typically installed along the hose length and to any fixed rigid point suitable to withstand the activation load. 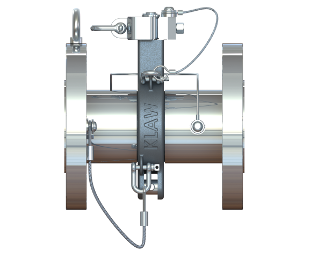 This Cable Emergency Release System employs the KLAW Collar Release mechanism.